The signs and symptoms of a bunion include a bulging bump on the outside of the base of your big toe, swelling, redness or soreness around your big toe joint, Thickening of the skin at the base of your big toe, Corns or calluses, these often develop where the first and second toes overlap, persistent or intermittent pain, restricted movement of your big toe. 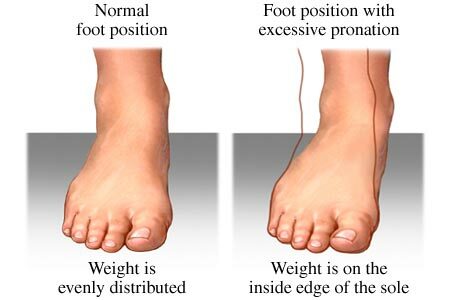 Although bunions often require no medical treatment, see your doctor or a doctor who specializes in treating foot disorders (podiatrist or orthopedic foot specialist) if you have persistent big toe or foot pain, a visible bump on your big toe joint, decreased movement of your big toe or foot, difficulty finding shoes that fit properly because of a bunion. Surgery is a last option for those with advanced and painful bunions that do not respond to any other treatment. The surgical operation to correct the deformity from a bunion is called a bunionectomy, which typically involves removing bony growth of the bunion, re-positioning ligaments and tendons, and realigning the bones of the toe joint. Surgery is usually a day procedure performed with a local anaesthetic. The bones may be stabilised in their new position with screws or pins. Hardware may even include absorbable pins that are broken down by the body after a few months. You can expect a 6 - 8 week recovery period during which crutches are usually required. Surgery is often successful but sometimes the big toe moves back to its previous deviated position. Proper footwear and orthotics reduces the chances of surgical failure.